If you spend a lot of time at a pool or the beach you are going to want Swimming Towels. Towels that are designed for swimming use are quick drying, so that the next time you go to dry off it will not be soaking wet. 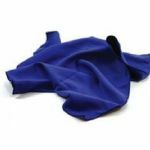 Depending on if the Swimming Towels are for adults or children, you will have quite the range of options to choose from. 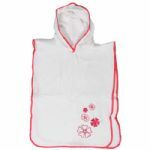 Swimming Towels for children may have hoods or fun designs. Some may have characters from favourite movies or television shows on them. 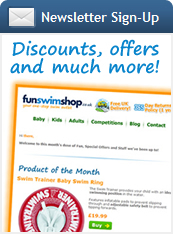 Children's Swimming Towels are smaller than the adult versions and are designed specifically with children in mind. 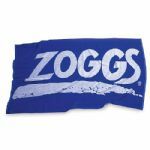 Many children love to pick out their own towel for the pool or the beach. This can be a great way for your child to have part in the planning of a trip or vacation. Adult Swimming Towels have a very wide range. 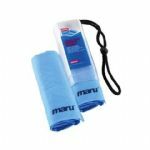 There are Swimming Towels that fold into a backpack, or small bag for ease when packing them to take on the go. 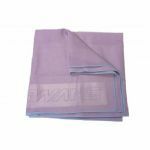 There are very thick durable towels such as those made by more expensive brands. 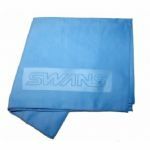 Adult size swimming towels can range from small for travelling light, to much larger such as would be used for a beach blanket. 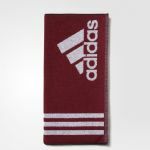 These towels will range in colour from solid to very bold and vibrant. If you are going on vacation or to the pool sometime soon, get yourself some Swimming Towels. They dry faster and you can find exactly what you need for your entire family!